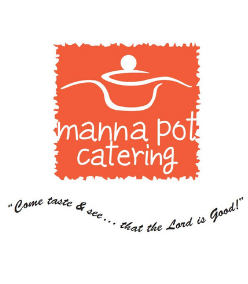 Manna Pot Catering is a top-notch, halal wedding caterer in Singapore which aims to redefine wedding catering by being a one stop wedding service provider. We make your wedding planning hassle-free and convenient by providing wedding buffet catering, live stations, wedding styling & decor, (by Flora Artisan) artisanal dessert tables and handcrafted wedding cakes, (by Divine Artisan) all in one place. From church wedding receptions to wedding solemnisations, engagement parties & sit down western course meals, Manna Pot Catering relishes in working our magic for your wedding. With a wide range of wedding menus available for your wedding, you’re bound to find something that you desire, hassle-free. Customise your own wedding menu with our readily available wedding packages! Dreaming of a Pinterest-inspired wedding here in Singapore? Break conventional norms with our passionate team of wedding consultants! Unlike traditional wedding venues, we are the FIRST one-stop wedding solution to provide a fully customisable, exquisite wedding dining experience for your guests. With a wide range of venue partners with the likes of hotels, country clubs, restaurants & bars & unique spaces you’re bound to find a wedding venue of your choice with our trusted partners. We delight in making that wedding dream come true for you here in Singapore without breaking the bank & work closely with our trusted vendors to curate a one-of-a-kind, bespoke wedding of your dreams. Speak with us to enquire about our wide array of all-inclusive venue hire packages or fully customise your wedding experience with our ‘blank canvas’ venues, according to your budget! Simply holler, for your amazing dream wedding, unique to your own!